Brussels sprouts are in season in the Pacific Northwest from September to January. They are high in fiber, vitamins, and minerals and very low in calories. They’re rich in vitamin K, high in vitamin C. They also contain small amounts of vitamin B6, potassium, iron, thiamine, magnesium and phosphorus. Because they are in season right now and packed with nutrition, lets eat more Brussels sprouts! Try the recipe below- it’s so easy to make. NOTE: if you want to get your kids to eat them you can make the recipe below but throw in some cooked rice or pasta and parmesan cheese at the end- It becomes a perfect meal that will inspire your littles to embrace the sprouts too! This recipe takes literally only 20 minutes from start to finish. **The entire recipe below contains about 300 calories in total. I usually double the recipe so I have leftovers for the next day. In a large skillet over medium-high heat, heat oil. Once hot, add cumin seeds. Let seeds cook in oil for about a minute, stirring often. Add brussel sprouts so the cut sides of sprouts are facing down in a single layer. Cook undisturbed 4 to 8 minutes, until cut sides of sprouts become caramelized. Stir and continue to cook until sprouts become tender, 6 to 8 minutes more. Season to taste with salt and pepper, squeeze lemon, and add garlic. Stir and cook 1-2 minutes longer. Sounds delish! Love Brussel sprouts! 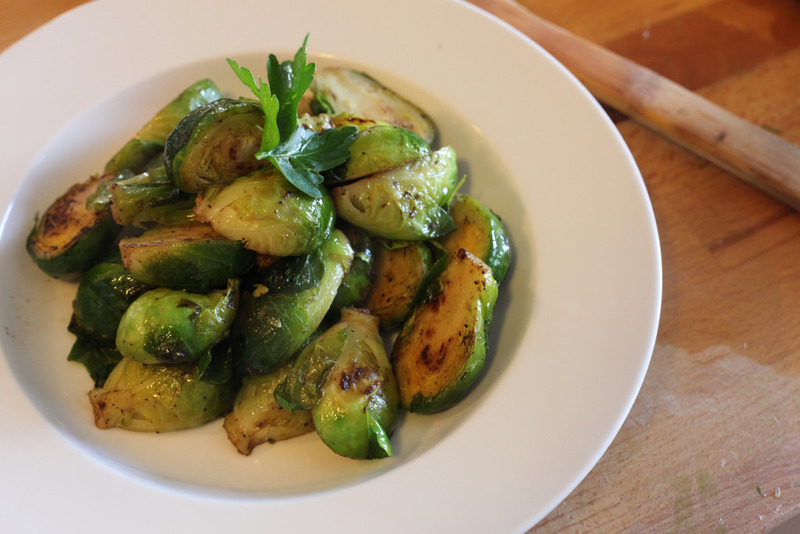 Finally, someone who knows how to caramelize brussel sprouts. Recipe pinned. Thanks! 🙂 Glad you agree! The texture is so much better done on the stove top versus the oven (i think). They are so good! I remember that you like ground turkey- Maybe I’m making this up 🙂 Anyways you can brown ground turkey, cook the sprouts, then combine and cook together for a bit for a great meal in one!